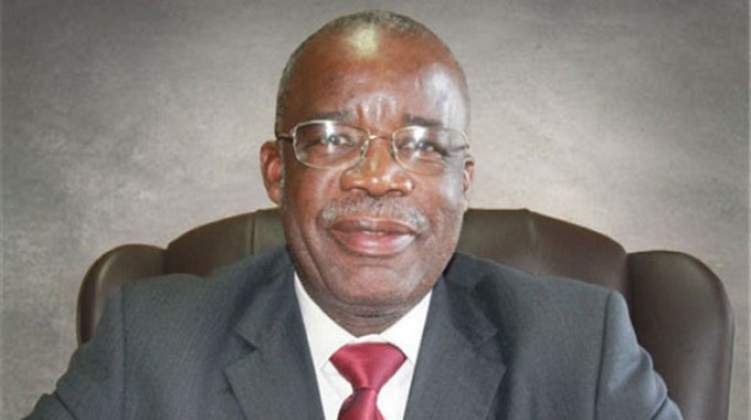 THE alleged corruption case involving former Mines and Mining Development Minister Walter Chidhakwa and his former permanent secretary Francis Gudyanga will now be dealt with at the recently opened Anti-Corruption Court. The two, who are being represented by Mr Resilience Ndou, yesterday appeared before Midlands provincial magistrate Mrs Phathekile Msipa, who said the State was making progress towards their trial. They were not asked to plead and are out of custody on $800 bail each. Mrs Msipa threw out their application for removal from further remand and remanded them to July 2. "The local prosecutors take instructions from the Prosecutor-General, who has asked for the docket of the two accused persons so that it is dealt with at the specialised Anti-Corruption Court," she said. "This shows that there is progress towards their trial because the police have indicated that they have completed their investigations and the docket is on its way to the Prosecutor-General. Once the Prosecutor-General has docket, the accused persons will be indicted to that special court. They are remanded out of custody to July 2." Mr Ndou was arguing that three months since his clients' arrest was too long a time for the State to continue placing them on remand and requested that they be removed from further remand. "My clients, according to the court, will be indicted to appear at a specialised corruption court at a date to be advised," said Mr Ndou after the court proceedings. "Our application for refusal of further remand was rejected." It is the State's case that in May 2015, Gudyanga, who was the permanent secretary in the Ministry of Mines and Mining Development, thus being a public officer, allegedly received appeal correspondence from Mr Ronald Mugangavari. Mr Mugangavari, the court heard, was allegedly appealing against a determination by Mr C Phiri and Mr T Paskwavaviri, the provincial mining commissioners for Masvingo and Midlands, respectively. The appeal was allegedly in connection with the mine claim ownership dispute between Midway 21 Gold Mine, owned by K & G Syndicate represented by Mr Hebert Hwekwete, and Clifton 15 Mine owned by Mr Mugangavari. Chidhakwa and Gudyanga, acting in common purpose, with full knowledge that they did not have jurisdiction to deal with such an appeal, allegedly nullified the determination, showing favour to Mr Mugangavari. The shooting, the court heard, took place after they had visited the mine. Last week, President Mnangagwa said the era of corruption and bribing prosecutors to sweep corruption under the carpet was over after he set up an Anti-Corruption Prosecution Unit in his office. The President said although some criminals had been arrested, he was not happy with the pace of prosecution. Seven magistrates have been chosen to deal with the corruption matters in Harare, while Bulawayo has five. Selected members of the prosecution team have undergone training on handling corruption matters.